On-Prem, Cloud, or HYBRID ~ Since 1984 Matrix Networks has been evolving with phone system technology to help our clients leverage innovation to grow their businesses and maintain a competitive advantage. 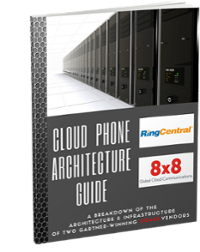 Selecting a new phone system is a major project that requires expansive industry expertise, a true understanding of the power of voice applications, and the importance of a reliable network. But selecting a phone system is only half the battle... Choosing a partner with a proven track record of success is just as important as the solution you choose. For over 3 decades Matrix Networks has been deploying, implementing, and maintaining the industries leading solutions for voice technology. At Matrix, client satisfaction has been more than a buzzword for over 3 decades; it is a promise that we deliver by ensuring a partnership of technical expertise, thought leadership, and dedication to our craft. You own the hardware. More control. High reliability. Purchased as a capital expense. Highly flexible. Always Current Software. Purchased as an operational expense. One system. Ultimate flexibility. Un-matched scalability. On Premise or Premise solutions are traditional IP based phone systems with the "brains" of the system located in your datacenter or headquarters locations. Premise products are traditionally purchased as a capital expenditure, with upfront purchases and maintenance agreements from local partners. These solutions use traditional dial-tone circuits like PRI, T1 and Analog lines to connect to the outside world. The ultimate responsibility of maintaining the system falls to your business. On-premise solutions are highly developed feature rich platforms that include traditional integrations to ancillary systems like overhead paging, fax, door phones and call accounting. Cloud solutions are the new wave of IP phone systems with the "brains" of the system hosted in multiple datacenters by the provider. These systems generally require very little capital expense but have a larger operating expense. The connection to these phone systems is via the internet, you are no longer responsible for maintaining connections to services like PRI and analog lines. Redundancy, upgrades and general maintenance are the responsibility of the cloud provider and typically include performance service level agreements. A new cloud phone system provides you features that aren't available in a premise environment like support for SMS and advanced integrations. Hybrid solutions are a combination of a premise solution with a cloud platform, the brains located at the provider’s datacenters but with some remote survivability and hardware on-site. As you may expect, the operating expenses are lower than with a pure cloud solution and the upfront cost is less than a premise solution. The connections to the outside world would likely be a blend of your own and the service providers depending on the preferred configuration. Maintaining the local equipment is your responsibility, but the core system is still maintained by the provider. 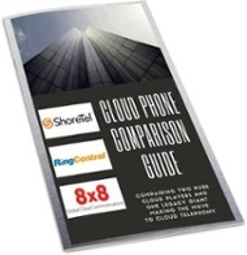 This solution gives you a powerful combo from a feature set perspective, local equipment to support more complex analog applications and cloud based software for new Unified Communications tools. How Matrix helped the Portland Trail Blazers improve customer service and communications by moving to a ShoreTel On-Premises Solution.